There are an abundance of humidifiers on the market. Knowing which one to choose can be tricky, to say the least. Having one at home when you need it can make a huge difference, though. Humidifiers are great when you or a loved one has any type of respiratory illness. They are especially helpful during the winter months when the air is dry and heaters make it even drier. Healthcare providers often recommend using them if you have a cold, the flu or any type of respiratory infection or illness. We had the opportunity to try the Vicks Mini Filter Free Humidifier (full disclosure: the humidifier was provided free of charge. However, this in no way influenced this review of the product). Humidifiers are a mixed bag. Some of them end up getting water all over the furniture, some are loud, others run out of water overnight, and almost all of them are difficult to clean. We honestly didn't have high hopes for the Vicks Mini Filter Free Humidifier, mainly because we tested the Vicks Starry Night Humidifier in the past and were not terribly impressed. Luckily, I was pleasantly surprised. I have two young children and they get sick a lot as most kids do. One of them also has asthma and gets croup frequently which means having a humidifier at home is a must. It was very easy to fill and set up and was very quiet when it was running. It is compact and did not take up a large amount of space on the table where it was placed. The size of the reservoir is concerning; you may worry that it will run out of water during the night, but it did not during testing. It worked well through the night and still had a little water remaining in the reservoir the next morning. No water was found on the table around the humidifier, which has been a frequent complaint about others that I have tried. 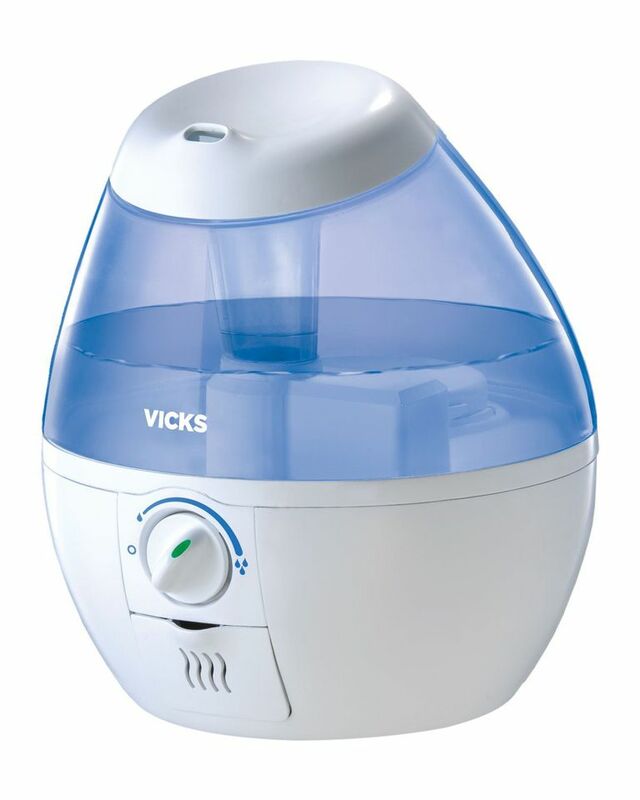 Overall we were very happy with the Vicks Mini Filter Free Humidifier's performance and ease of use. It is a cool mist humidifier, which means it needs to be cleaned frequently to keep it from spreading germs in the air. However, that is the case with all cool mist humidifiers; it is not unique to this model or brand. Because cool mist humidifiers are safer for children and recommended by Pediatricians and leading health organizations, cleaning it frequently according to the manufacturer's instructions is just a small hassle compared to the benefit the product provides for your child. Is the Vicks Starry Night Humidifier the Best for Your Child? What Kind of Cough Do You Have?